Again today we take a look at the movie “The Longest Ride” which visits the Black Mountain College in North Carolina which existed from 1933 to 1957 and it birthed many of the top artists of the 20th Century. In this series we will be looking at the history of the College and the artists, poets and professors that taught there. This includes a distinguished list of individuals who visited the college and at times gave public lectures. Recommended To: Nicholas Sparks devotees only. Synopsis: Sophia, a young woman about to graduate from college and move to New York for an internship, falls for Luke, a stubborn bull rider who on their first date pulls Ira, an elderly man from a burning vehicle. Sophia befriends Ira while he is in hospital and entertains him by reading old letters that Ira wrote to his now-deceased wife. Review: The Longest Ride is a fairly ambitious tale from the mind of Nicholas Sparks as it takes place in both modern times and in and around World War II. It tells two love stories; one about a Jewish couple in flashbacks and a cowboy and an art student in the present. The flashbacks come via a box full of letters that Ira, a shopkeeper, wrote to his love interest Ruth, a great admirer of contemporary art, throughout their lives together (it’s more romantic than Ira keeping a journal). Ira and Sophie have their hardships (the story was better told when it was a film called Up) that somewhat mirror the budding romance between Like and Sophia (she likes art; he doesn’t think much of it). All of this is an excuse for Sparks to reference Black Mountain College, a progressive liberal arts school that was established in 1933 and later shut down in 1957. It’s a nice nod to the art community, but it lacks any sort of depth and feels like Sparks’ attempt to dress the scenery with something new so he can essentially tell the same story he always tells without completely repeating himself. He does at least hint at some of the anti-Semitism that Ira and Ruth faced, but he doesn’t address it head on. Maybe Sparks realized that he isn’t the right person to handle heavier issues. Had Sparks focused entirely on Ira and Ruth The Longest Ride might have been a solid film. Sadly, the film is more interested in the cheesy romance between an often-shirtless cowboy and the not-so-mousey art student. It’s as cheesy and cliché packed as you’d expect and while this might appease Sparks’ core audience; it does absolutely nothing for those looking for a film that presents romance in a realistic light. Nicolas Fox Weber, Director of the Josef and Anni Albers Foundation, explores day-to-day life at the Bauhaus: the personal relationships, the struggles and even the scandals. Showing little-known images of Bauhauslers frolicking on the beach, sitting around a samovar, parading at costume parties, and even feigning lovers’ duels, Weber sets the enjoyment and challenges of Bauhaus life in context. Josef and Anni Albers, lifelong artistic adventurers, were among the leading pioneers of twentieth-century modernism. My first post in this series was on the composer John Cage and my second post was on Susan Weil and Robert Rauschenberg who were good friend of Cage. The third post in this series was on Jorge Fick. Earlier we noted that Fick was a student at Black Mountain College and an artist that lived in New York and he lent a suit to the famous poet Dylan Thomas and Thomas died in that suit. The fourth post in this series is on the artist Xanti Schawinsky and he had a great influence on John Cage who later taught at Black Mountain College. Schawinsky taught at Black Mountain College from 1936-1938 and Cage right after World War II. In the fifth post I discuss David Weinrib and his wife Karen Karnes who were good friends with John Cage and they all lived in the same community. In the 6th post I focus on Vera B. William and she attended Black Mountain College where she met her first husband Paul and they later co-founded the Gate Hill Cooperative Community and Vera served as a teacher for the community from 1953-70. 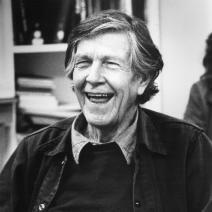 John Cage and several others from Black Mountain College also lived in the Community with them during the 1950’s. In the 7th post I look at the life and work of M.C.Richards who also was part of the Gate Hill Cooperative Community and Black Mountain College. In the 8th post I look at book the life of Anni Albers who is perhaps the best known textile artist of the 20th century and at Paul Klee who was one of her teachers at Bauhaus. Annelise Albers (née Fleischmann) (June 12, 1899 – May 9, 1994) was an American textile artist and printmaker. She is perhaps the best known textile artist of the 20th century. Albers was born Annelise Else Frieda Fleischmann in Berlin of Jewish descent. Her mother was from an aristocratic family in the publishing industry and her father was a furnituremaker. Even in her childhood, she was intrigued by art and the visual world. She painted during her youth and studied under impressionist artist, Martin Brandenburg, from 1916 to 1919, but was very discouraged from continuing after a meeting with artist Oskar Kokoschka, who upon seeing a portrait of hers asked her sharply “Why do you paint?” She eventually decided to attend art school, even though the challenges for art students were often great and the living conditions harsh. Such a lifestyle sharply contrasted the affluent and comfortable living that she had been used to. Albers attended the Kunstgewerbeschule in Hamburg for only two months in 1920, though eventually made her way to the Bauhaus at Weimar in April 1922. At Walter Gropius‘s Bauhaus she began her first year under Georg Muche and then Johannes Itten. Women were barred from certain disciplines taught at the school, especially architecture, and during her second year, unable to get into a glass workshop with future husband Josef Albers, Anni Albers deferred reluctantly to weaving. 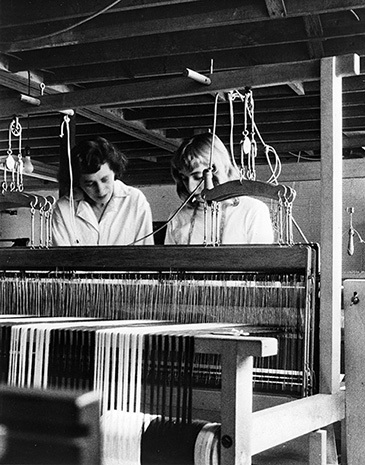 With her instructor Gunta Stölzl, however, Albers soon learned to love weaving’s tactile construction challenges. In 1925 Anni and Josef Albers, the latter having rapidly become a “Junior Master” at the Bauhaus, were married. The school moved to Dessau that year, and a new focus on production rather than craft at the Bauhaus prompted Albers to develop many functionally unique textiles combining properties of light reflection, sound absorption, durability, and minimized wrinkling and warping tendencies. She had several of her designs published and received contracts for wall hangings. For a time Albers was a student of Paul Klee, and after Gropius left Dessau in 1928 Josef and Anni Albers moved into the teaching quarters next to both the Klees and the Kandinskys. During this time, the Albers began their lifelong habit of travelling extensively: first through Italy, Spain, and the Canaries. The Bauhaus at Dessau was closed in 1932 under pressure from the Nazi party and moved briefly to Berlin, permanently closing a year later in August 1933. 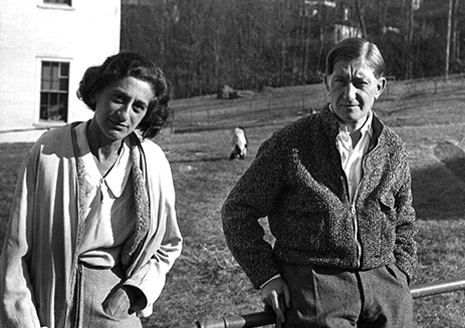 Anni and Joseph Albers were invited by Philip Johnson to teach at the experimental Black Mountain College in North Carolina, arriving stateside in November 1933. Both taught at Black Mountain until 1949. During these years Anni Albers’s design work, including weavings, were shown throughout the US. Albers wrote and published many articles on design. In 1949, Anni Albers became the first designer to have a one-person exhibition at the Museum of Modern Art in New York City. Albers’s design exhibition at MoMA began in the fall and then toured the US from 1951 until 1953, establishing her as one of the most important designers of the day. During these years, she also made many trips to Mexico and throughout the Americas, and became an avid collector of pre-Columbian artwork. After leaving Black Mountain in 1949, Anni moved with her husband to Connecticut, and set up a studio in her home. After being commissioned by Gropius to design a variety of bedspreads and other textiles for Harvard, and following the MoMA exhibition, Albers spent the 1950s working on mass-producible fabric patterns, creating the majority of her “pictorial” weavings, and publishing a half-dozen articles and a collection of her writings,On Designing. In 1963, while at the Tamarind Lithography Workshop in Los Angeles with Josef for a lecture of his, Anni Albers was invited to experiment with print media. She grew immediately fond of the technique, and thereafter gave up most of her time to lithography and screen printing. She was invited back as a fellow to Tamarind in 1964, wrote an article for Britannica in 1963, and then expanded on it for her second book, On Weaving, published in 1965. Her design work and writings on design helped establish Design History as a serious area of academic study. 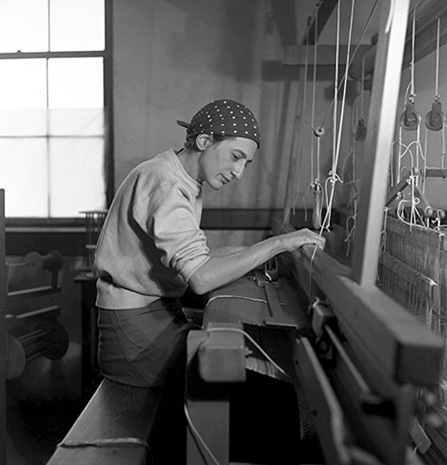 In 1976, Anni Albers had two major exhibitions in Germany, and a handful of exhibitions of her design work, over the next two decades, receiving a half-dozen honorary doctorates and lifetime achievement awards during this time as well, including the second American Craft Council Gold Medal for “uncompromising excellence” in 1980. She continued to travel to Latin America and Europe, to design and to make prints, and to lecture until her death on May 9, 1994, in Connecticut. Josef Albers, who had served as the chair of the design department at Yale, after the artists had moved from Black Mountain to Connecticut, in 1949, had predeceased her in 1976. 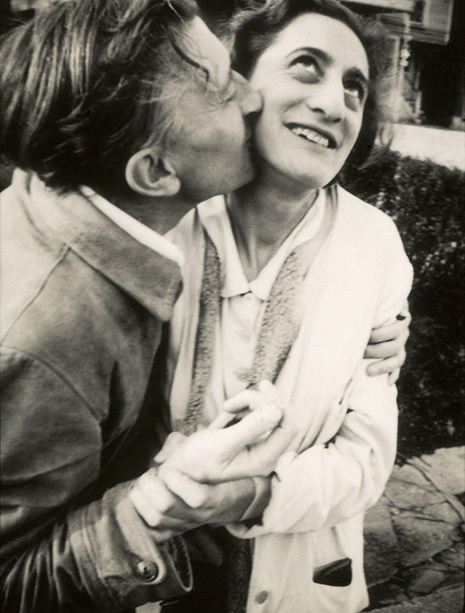 In 1971, the Albers founded the Josef and Anni Albers Foundation, a not-for-profit organization they hoped would further “the revelation and evocation of vision through art.” Today, this organization not only serves as the office Estate of both Josef Albersand Anni Albers, but also supports exhibitions and publications focused on Albers works. The official Foundation building is located in Bethany, Connecticut, and “includes a central research and archival storage center to accommodate the Foundation’s art collections, library and archives, and offices, as well as residence studios for visiting artists.” The U.S. copyright representative for the Josef and Anni Albers Foundation is the Artists Rights Society. The Josef and Anni Albers Foundation is represented for unique work by The Pace Gallery, New York, and Waddington Galleries, London, and for editioned work by Alan Cristea Gallery, London. Albers was inducted into the Connecticut Women’s Hall of Fame in 1994. Albers was a designer who worked primarily in textiles and, late in life, with print media. She produced numerous designs in ink washes for her textiles, and occasionally experimented with jewelry design. Her woven works include many wall hangings, curtains and bedspreads, mounted “pictorial” images, and mass-produced yard material. Her weavings are often constructed of both traditional and industrial materials, not hesitating to combine jute, paper, and cellophane, for instance, to startlingly sublime effect. Weber, Nicholas Fox. The Woven and Graphic Art of Anni Albers. Essays by Nicholas Fox Weber, Mary Jane Jacob and Richard S. Field. Washington D.C. Smithsonian Institution Press, 1985. Weber, Nicholas Fox, and Pandora Tabatabai Ashbaghi. Anni Albers. New York: Solomon R. Guggenheim Foundation and Harry N. Abrams, Inc. 1999. Brenda Danilowitz, ed. Anni Albers: Selected Writings on Design. University Press of New England, 2001 (ISBN 0-8195-6447-8). Anni Albers. Solomon R. Guggenheim Foundation, 2003 (ISBN 0-89207-272-5). The Black Mountain College’s location at Lake Eden near Asheville, North Carolina, physically isolated from metropolitan or cultural centers, generated a specific intensity of life. 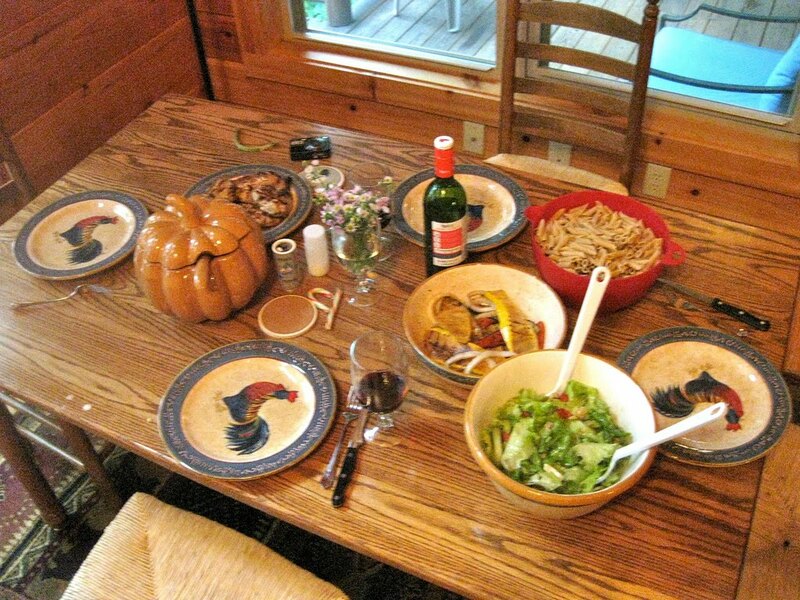 Unusually, faculty and students lived on campus and ate together in the dining hall. Neither faculty members nor students abandoned campus on weekends. On the contrary, entertainment during the weekends, like parties attended by both students and faculty, played a vital role in community life. (1) Such an environment allowed the formation of intense relationships between students and teachers, leading to the creation of outstanding collective artwork, such as Anni Albers’s and Alex Reed’s hardware jewelry. Black Mountain student Alexander (William) Reed developed a close relationship to the Albers during the time he spent at the college. Mary Emma Harris considered him a surrogate son (2), which is also reflected in the close cooperation between Josef Albers and Reed. When Josef Albers was granted a sabbatical for the year 1940-41, Reed who had graduated in art in the spring of 1940, agreed to work as an art teacher in his absence. When Albers returned, Reed remained at the college until the summer of 1942 to work as his assistant. Due to their lack of knowledge about goldsmithery or “even the simplest metal work or stone polishing” (10) Reed and Albers used given materials as elements and linked them to a piece of jewelry, instead of reshaping them or making all parts fit a given whole. Notwithstanding their succesful cooperation, other projects of Albers and Reed are not known. One reason for this could be the death of Alexander Reed in 1965, rendering impossible any future projects. It is, however, more likely that it was the special, intensive atmosphere at Black Mountain College that allowed such a fruitful cooperation. Certainly, not all of the relationships between teachers and students turned out to work so well and happened to be on an equal footing, demonstrated by Buckminster Fuller and Kenneth Snelson’s quarrel about the autorship of “Early X Piece”. Regardless of whether it worked out or not, the particular environment at Black Mountain College, the close knit community of students and faculty, fostered such collaborations in the first place, which at another college, where students and faculty would have lived in a more seperated way, would not have been possible at all. 1 See Harris, Mary W.: The arts at Black Mountain College, (Cambridge: MIT Press, 1998) 47. 5 See Benfey, Christopher: Red Brick Black Mountain White Clay. Reflection on Art, Familiy & Survival, (New York: Penguin Books, 2012) 133. The following oral history transcript is the result of a tape-recorded interview with Anni Albers on July 5, 1968. The interview took place in New Haven, Connecticut, and was conducted by Sevim Fesci for the Archives of American Art, Smithsonian Institution. SEVIM FESCI: Mrs. Albers, the first question I would like to ask you is when did your interest in weaving start? ANNI ALBERS: Well, it really started when I first went to the Bauhaus at Weimar in 1922. I had been to an art school and an applied arts school in Germany, which I felt were very unsatisfactory. And also I was at that time interested in painting and I felt that the tremendous freedom of the painter was scaring me and I was looking for some way to find my way a little more securely. But I didn’t know how. And when I got to the Bauhaus I found that every student who entered there had first to go through a preliminary course and then choose one of the workshops. And I wasn’t at all interested in those workshops really. Because the metal workshop I felt was painful to the hands. The woodworking workshop was so terribly hard, lifting lumber and so on. The wall painting I couldn’t stand. I’d be standing on a ladder and getting all dirty every day. In the distance I saw my husband in the glass workshop, in the stained glass workshop. And I thought that was rather intriguing. The material and the men working and him in the distance there, you see. And I was told that there wasn’t a chance to get into that workshop because there were so very few chances to execute a stained glass window. And there was one man that was already there; that was all. So the only thing that was open to me was the weaving workshop. And I thought that was rather sissy. SEVIM FESCI: You never did weaving before? SEVIM FESCI: This was before the Bauhaus? ANNI ALBERS: No, there was this weaving workshop. I didn’t like the idea at all in the beginning because I thought weaving is sissy, just these threads. And there was a very inefficient lady, old lady, sort of the needlework kind of type, who taught it. And I wasn’t a bit interested. But the only way of staying at that place was to join that workshop. And I did. And once I got started I got rather intrigued with the possibilities there. And, as I have mentioned in this little magazine here, . . .
ANNI ALBERS: . . . I’ll show you an article. There — there is this very mistaken idea that there really was an organized course teaching the student at that time. Early there wasn’t. And, as I have written in that article, what I learned I learned from my co-students. But I got more and more intrigued with it and gradually found it very satisfying and very . . . .
SEVIM FESCI: More secure in a way? ANNI ALBERS: Yes. I felt that the limitations and the discipline of the craft gave me this kind of like a railing. I had to work within a certain possibility, possibly break through, you know. ANNI ALBERS: And I find today that, if the New York scene people would stick to or turn to a craft, it would save their soul. Because they are, I think, in this really hopeless situation of constantly searching their inners and not finding a way to something that is really satisfactory. They splatter and they spit and they do heavens knows what and try to be awfully original. And the results to my mind are very awful things that you have one look at and wouldn’t look again or turn away sometimes even in disgust. And I have this very what you call today “square” idea that art is something that makes you breathe with a different kind of happiness. ANNI ALBERS: And I find art is something that gives you something that you need for your life. Just as religion is something that you need even if you constantly find it denied today. SEVIM FESCI: Are you religious yourself, Mrs. Albers? ANNI ALBERS: Well, not in any organized way. But there is something I think that everybody believes in whether they deny it or not. SEVIM FESCI: So you would say that . . . ? ANNI ALBERS: And they are searching for something. And I feel that art is this something that goes beyond that what you need in your daily doings in a sense. SEVIM FESCI: Yes. To be above all this daily . . . .
ANNI ALBERS: Well, I find that Pop art or Dada have tried to get away from this fine art barrier in a very healthy way, maybe. But that still it’s only breaking away to find . . . to free yourself for a new way of doing things, but that very often it’s not an end in itself. SEVIM FESCI: Yes. Would you say . . . ? ANNI ALBERS: What am I saying? I have to think. I’d better . . . . Sometimes one talks more easily than one thinks. SEVIM FESCI: But would you say that an artist needs some discipline? ANNI ALBERS: Yes. Very much so. And I find that a craft gives somebody who is trying to find his way a kind of discipline. And this discipline was driven in earlier periods through the technique that was necessary for a painter to learn. In the Renaissance they had to grind their paints, they had to prepare their canvas or wood panels. And they were very limited really in the handling of the material. While today you buy the paint in any paint store and squeeze it and the panels come readymade and there is nothing that teaches you the care that materials demand. SEVIM FESCI: The love of materials. ANNI ALBERS: And it produces this too great quickness, I think. SEVIM FESCI: Yes. Not enough consideration involving the work . . . .
ANNI ALBERS: Yes. Yes. That’s it. When the painter or the weaver or someone has to prepare the material, you learn what the material tells you and what the technique tells you. While today . . . .
SEVIM FESCI: There’s a sort of dialogue between you and the material. ANNI ALBERS: And that frees you from this too-conscious searching of your soul which very often turns just into this kind of intestinal painting. It frees you and gets you away from a too-subjective way of work. And I think that art should be something that can last above the 30 years that Duchamp puts on a work of art. I don’t believe in that. SEVIM FESCI: Yes, I understand. But although, as you said, that it frees you from the subjective . . . .
ANNI ALBERS: From the too-subjective. You can’t avoid being subjective. But a kind of objectifying happens when you have to concentrate on the demands of the materials and the technique. ANNI ALBERS: And I find that healthy and not limiting. And I still think that it really might be the salvation for many of those who dabble so easily in the too-readily-available materials. SEVIM FESCI: Yes. I understand now. If I understand correctly, Klee was your teacher? ANNI ALBERS: Well, in a very limited way. I admire Klee very much. But what I learned from him I learned from looking at his pictures. Because as a teacher he was not very effective. I sat in a class which he gave to the weaving students and I think I only attended perhaps three of the classes. Klee was so concerned with his own work. He would walk into the room, go up to the blackboard, turn his back to the class, and start to explain something that he probably thought was of concern to those listening to him. But he probably didn’t know at all where each of us there was in his own development, in his own concern, in his own searching. I’m sure there were some students who had more direct contact with him. But I didn’t have it at all. On the other hand, I find that he probably had more influence on my work and my thinking by just looking at what he did with a line or a dot or a brush stroke and I tried in a way to find my way in my own material and my own craft discipline. SEVIM FESCI: I understand that imagery never interested you very much? ANNI ALBERS: You mean by that representational work? ANNI ALBERS: No. No, not really. Because of this what I just said I was trying to build something out of dots, out of lines, out of a structure built of those elemental elements and not the transposition into an idea, into a literary idea. SEVIM FESCI: Yes. It was more abstract idea. ANNI ALBERS: Not the cat or the sunset but a building out of that what was available to me in the elemental form of thread, and loom operation, et cetera. SEVIM FESCI: Yes. And what about the colors. Mrs. Albers? ANNI ALBERS: Yes. Color. That is an interesting thing because color of course involves you in an emotional sense far beyond line and . . . .
SEVIM FESCI: Squares and dots. ANNI ALBERS: Yes. On the other hand, in concentrating on what the weaving materials told you color was almost interfering with this because the roughness, the smoothness, the gloss, et cetera, comes out clearer if you are not concerned with additional color, but if you stick to just what this character of the material was. And therefore, I find that colors in weaving have not the first place, like with a proper painter, but only as a secondary one. And if you think of working for industrial production, as I have done to a small degree, a curtain that you build should be — I don’t know — transparent, or opaque, folding easily, washable, and so on, and you can have it in blue or red or green in the end, which is further concern, but is not the one out of which to build the main character of the material. You see? SEVIM FESCI: Yes, I understand. But, looking at your work, you are interested very much also in color. I mean the different, you know . . . ? ANNI ALBERS: Yes. I was concerned for a while with working for industrial production, material production . . . .
ANNI ALBERS: And I tried to develop this serving quality to the best I could so that upholstery material would be really suited to upholstering, that drapery material would drape well, et cetera. And then I tried very much to avoid in those serving objects, in this utility material, the personal handwriting, the subjective work. Because I thought that it’s very disturbing to come into a room and immediately say, “Ah, this is Mr. X doing this.” I find that this kind of — well, “expression” is such a bad word — but this personal expression should be reserved for a concentrated form, which is art, to my mind. So in my own work I try to separate very clearly the utilitarian objective work from that what I think of as in the direction of art. And there color of course comes in. Do you see? SEVIM FESCI: Yes, I understand now. Yes. You just said that you did some designing for industrial design? SEVIM FESCI: Do you enjoy doing it? Or do you feel . . . ? ANNI ALBERS: To a degree, yes. It is really interesting to concentrate like an architect has to concentrate on the functioning of a house, so I enjoyed concentrating on what that specific material demanded. I developed a series of wall covering materials, which at the time I did it was non-existent really. And I tried to make them so that they were partly even light reflecting, that they could be brushed off, that they could be fixed straight and easily on the wall without pulling into different shapes, you know. So a specific task sets you a very interesting way of dealing with your choice of material, with your technique, and so on. On the other hand, I was concerned also with — well what one usually thinks of as art. And I tried to work something in that direction. Although, as I told you before we started taping this, I find this great problem that people are so inclined to think of textiles always in this useful sense. They want to sit on it; they want to wear it. And they don’t like to think of it as something that might hang on the wall and have the qualities that a painting or a sculpture has, that you turn to it again and again and that it might possibly last for centuries, as some of the ancient Peruvian things have. SEVIM FESCI: You just mentioned Peruvian textiles. If we look at the history of weaving, which epoch are you most attracted to? ANNI ALBERS: Well, I admire the pre-Columbian, the Peruvian textiles more than any other cultures. And I think I’m not the only one who thinks of those textiles as the highest textile culture in the world. Because, although the Coptic period has beautiful examples of textiles, it is technically much more limited and also in the inventiveness within the scope of weaving. It’s much more limited than the Peruvian materials which have a tremendous range and go far beyond in technique what we today can do. SEVIM FESCI: And what about Western traditional weaving? ANNI ALBERS: You mean European? ANNI ALBERS: Well, of course there are beautiful Renaissance materials and so on and, well, mainly also the Gobelin tapestries of the Renaissance. The earlier medieval tapestries are very beautiful. SEVIM FESCI: Maybe for you they have this sense of symbolism? ANNI ALBERS: Yes. This is a great period, too. Well, it soon slipped into the area of painting that Raphael’s tapestries are not as good as paintings by Raphael and not as good as weaving. They missed this specific character that a textile might have. SEVIM FESCI: Yes. Before we leave the Bauhaus, because we were still there — I would like to ask you what is this creative atmosphere of the Bauhaus? ANNI ALBERS: This is what I mentioned there in the article — well, the Bauhaus today is thought of always as a school, a very adventurous and interesting one, to which you went and were taught something; that it was a readymade spirit. But when I got there in 1922, that wasn’t true at all. It was in a great muddle and there was a great searching going on from all sides. And people like Klee and Kandinsky weren’t recognized as the great masters. They were starting to find their way. And this kind of general searching was very exciting. And in my little articles this is what I called the creative vacuum. But the word “education” was never mentioned. 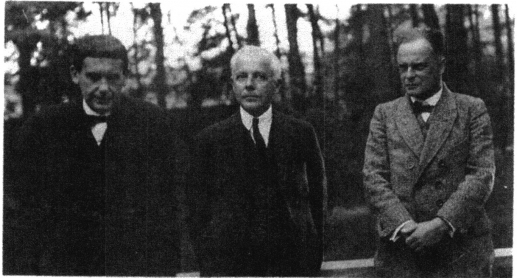 And the people we think of as the great masters — Klee and Kandinsky –– they weren’t available for questions. They were the great silent ones who talked among themselves maybe, but never to small little students like me. But we knew that what the Academy was doing was wrong and it was exciting that you knew you had the freedom to try out something. And that was fine. But, as I say, it wasn’t that you went there and were taking something home from there. You were a contributor. SEVIM FESCI: It was more a kind of laboratory. ANNI ALBERS: Yes, from all sides. Everybody tried his best and we didn’t know in which direction we were going. Because there was nothing. You only knew that what there was in other schools or academies was wrong and didn’t satisfy. SEVIM FESCI: That something new had to be done. ANNI ALBERS: There was a need for doing something new but what it looked like nobody knew. SEVIM FESCI: Yes. But in relation — I’m not sure now what it said — but wasn’t there also a relationship with industry? SEVIM FESCI: Yes. And then you left the Bauhaus, I think, with your husband in the Thirties? ANNI ALBERS: Well, no, I left the weaving workshop earlier because they had a teacher there and there was really no place for me. And I had developed something for which I got the Bauhaus diploma. Which was a rather interesting kind of work because it was something very different from what you usually think that textiles can do. 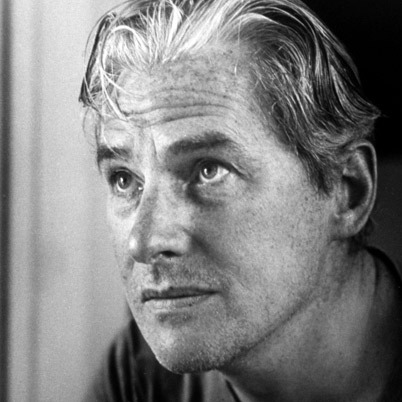 The Director of the Bauhaus who followed Gropius was Hannes Meyer. And he was building a large school, a kind of union school, and in the auditorium there was an echo. ANNI ALBERS: Yes, when you spoke it sounded back. You see? SEVIM FESCI: Oh, yes, yes. ANNI ALBERS: And he asked me if I could think of a way of subduing this echo, if we could make a textile that would be suitable. The usual solution at that time, in the 20’s, was that you put velvet on the walls. The little fibers absorbed the sound. And, of course, if the velvet was to be at all practical in a room used by hundreds of people so very often it would have to be a dark color. Otherwise you could see all the marks of fingerprints and so on. A light color just wouldn’t work there. And I had an idea that if I made a surface that was made out of a kind of cellophane — and cellophane just was coming as a new material. We had been in Florence, Italy and I had bought a little crocheted cap made of this material. And I unraveled it and used it for a first attempt to make a surface for a material that could be put on the wall, and this velvet quality of absorption I put in an interesting construction into the back of this material. So it had on the surface a light-reflecting quality and in the back the sound-absorbing quality. And this went into production. I don’t think it was produced on machines. But it was produced in workshops that made yard goods. And it was used for this auditorium. And it worked. And I think in this little pamphlet that I gave you there is a photo of it because at that time we were very intrigued by scientific angles to various problems. And the Zeiss Icon Works in Germany made a kind of analysis of how the light-reflecting surface worked when light fell on the surface at different angles. SEVIM FESCI: I see. The relation of light with the material? ANNI ALBERS: Yes. And a light-reflecting material was something completely new at that time, as was a sound-absorbing material that had a light surface. So this was quite an intriguing kind of textile engineering. SEVIM FESCI: That’s interesting. I didn’t know that. ANNI ALBERS: Yes. You asked me if utilitarian materials are that interesting. Well, this was a very interesting task, you see. It led me then to other materials for wall coverings, which I mentioned just now. And also, for instance, I made for architectural use when the idea of a textile exhibition came up that the Museum of Modern Art was giving me, I made a series . . . .
SEVIM FESCI: When was this? 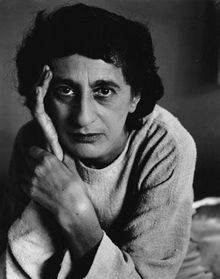 ANNI ALBERS: That was I think 1949 or thereabouts. I made a series of space dividers which was also a conception at that point — it probably was in existence but was quite unusual. And I thought that architects might, well, make use of materials separating between rooms instead of always the rigid walls. And so I made a series of seven or eight, I believe, different materials in different opaquenesses. You could look through at this very open one with 4-inch spaces between. In my book on Designing there’s a photo of it which shows that material. And on the other hand I made one that is quite opaque but again of a quality that can be brushed off if you can’t send it, like a piece of silk, to the cleaner’s — or that the moths would get into. SEVIM FESCI: So when you left the Bauhaus . . . ? ANNI ALBERS: Yes — how did I get onto my sound-absorbing material? I left when I was given this diploma. But I had come to the end there. And I did freelancing at home in Dessau. And in 1933, of course, my husband and I . . . .
SEVIM FESCI: You came to the United States. ANNI ALBERS: First the Bauhaus was shifted to Berlin for a very ineffective short period. Funds ran out. And the Nazis and so on. And in 1933 we both were asked to come to Black Mountain College which was a small pioneering college in North Carolina. SEVIM FESCI: Yes. Before we talk about that I just want to ask you how many years did you spend at the Bauhaus altogether? ANNI ALBERS: From 1922 to 1928 or 1929 or something like that. I can’t quite remember any more. SEVIM FESCI: Yes. And were you doing free lance at the same time? Or were you just a student? ANNI ALBERS: Well, I was a student for many years, until my diploma. But I did those wall hangings which I showed you just now, which only now really get recognition. Which is 40 years later. They weren’t really liked very much. What was liked was a much more romantic kind of thing. SEVIM FESCI: Now we’ve just talked about your work. I would like to ask you do you really sense there’s a very different style between what you did at the Bauhaus and what you’re doing now, for instance, where the line is much more . . . ? ANNI ALBERS: Not really. Well, like everybody has a period of development. Those which I showed you are — although they may look very simple — are technically very intricate. They are two-ply weaving. That is something that is in handweaving very rarely done today. And so from technical considerations various ideas developed. I see no real break, although the things may look different. SEVIM FESCI: I see. In the looks. ANNI ALBERS: There is no break. When I left the Bauhaus I stopped doing this. SEVIM FESCI: No, I mean I was thinking of the whole period of your work. ANNI ALBERS: Well, as a whole period of the work you can say — and I mentioned that to you also — that I am less interested in areas and more interested in the voice of the single thread. On the other hand, in the work that I showed you also just now — the silk screen prints that I’m doing — there I am turning back again to areas playing against each other in colors. Which is of course related to a different technique. Every technique brings up a different kind of demand on the use of the element. SEVIM FESCI: Yes. And then you came to Black Mountain? ANNI ALBERS: To Black Mountain College. During the start and rise of the Hitler period we received a letter at Berlin which said, “Will you consider coming to Black Mountain College? It’s a pioneering adventure.” And when we came to that point we both said, “That’s our place.” And it turned out to be a very interesting place because it gave us a freedom to build up our own work. Josef built up his whole teaching there and his whole color work which has nothing to do with anything we had left behind in Europe. I built up a weaving workshop and got into teaching and developed teaching methods that . . . .
SEVIM FESCI: What is your method of teaching? How do you . . . ? ANNI ALBERS: Well, maybe it’s an exaggerated term to call it “method” at all. But I tried to put my students at the point of zero. I tried to have them imagine, let’s say, that they are in a desert in Peru, no clothing, no nothing, no pottery even at at that time (it has been now proved that archaeologically textiles have come before pottery), and to imagine themselves at the beach with nothing. And what do you do? There are these fish at the Humboldt Current, marvelous fish swimming by, the best in the world in fact, because of the cold current there. And it’s hot and windy. So what do you do? You wear the skin of some kind of animal maybe to protect yourself from too much sun or maybe the wind occasionally. And you want a roof over something and so on. And how do you gradually come to realize what a textile can be? And we start at that point. And I let them use anything, grasses, and I don’t know what. And let them also imagine what did they use at that point. Did they take the skin of fish and cut it into strips possibly to make longitudinal elements out of which they could knot something together to catch the fish? And get carrying materials in that way. SEVIM FESCI: Quite a bit of imagination there. ANNI ALBERS: Exactly. Absolutely inventing something. And gradually then we invented looms out of sticks and so on. And the Peruvian back strap loom. And once they understand these basic elements, that the Peruvian back strap loom has embedded in it everything that a high power machine loom today has. And they understand it in a completely different sense than walking into a factory and seeing these things operate because they know what is necessary and what kind of inventions have occurred in the course of history. Well, this is a very rough way of doing it. So it goes back to imagination and invention. SEVIM FESCI: Yes. And how many years did you teach there? ANNI ALBERS: How long? Well, we were there for 16 years. And I continued here in a free lance way. And you develop those ideas. Because I don’t think I started that way in Black Mountain. I think I started with the loom and so on. And in my two books you will find various developments of some of these ideas and how I went about it and how I developed it. So I have been working in these three areas: utilitarian fabrics, teaching, and the things in the direction of art. SEVIM FESCI: That’s very interesting. I would like to ask you, today, — is weaving fashionable? ANNI ALBERS: No, no. And I think also that the invention of new knitting machines comes much closer to what we need today. That is shaped fabrics for wearing. While the Peruvians had shaped fabrics in weaving and worked them in very intricate ways, but we wouldn’t think of wearing underwear woven out of heavier material and the shaping would be very difficult and awkward, while the knitting process perhaps does it now already, and probably more in the future. So weaving I think is probably a dying art in a way. Although you wouldn’t believe it seeing the millions of yards of material that are produced today. But perhaps less for wear than for interiors and so on. SEVIM FESCI: And what would be for you a definition of weaving if somebody asked you? What does it require? A lot of discipline maybe? ANNI ALBERS: Well, that is vague because anything needs that. I think it is closest to architecture because it is a building up out of a single element, to building a whole out of single elements. SEVIM FESCI: Yes, I understand. Yes, it is closer to architecture than painting or sculpture. ANNI ALBERS: Yes, because you are building up something. While painting is applied on to something. Sculpture uses a given material. But, on the other hand, sculptors today are welding very much; they are building again something out of elements. So there is an interpenetration in the various fields really. SEVIM FESCI: Well, thank you very much, Mrs. Albers. I enjoyed it very much. ANNI ALBERS: Not at all. The leading role of the Bauhaus, such as Walter Gropius, Oskar Schlemmer, Laszlo Moholy-Nagy, Xanti Schawinsky, Paul Klee, Wasily Kandinsky experimented synthesis among human, space and machine not only in their own area, but also on the stage. They believed that their research about mechanical and abstract stage design, costume, doll, dance, humorous movement, light and sound could even make a change of the modern human body and mind. What exactly were some of these artists attempting to do and why does this statement finish with the bold assertion “could even make a change of the modern human body and mind”? Let me tell you what Wasily Kandinsky (who was seen in the film THE LONGEST RIDE) and Paul Klee were attempting to do. They wanted to make a connection with art and find a word of direction from art for their lives. They were secular men so they were not looking for any spiritual direction from a personal God. However, the Bible clearly notes that God exists and we all know He is there. Romans Chapter one asserts, “For that which is KNOWN about God is EVIDENT to them and MADE PLAIN IN THEIR INNER CONSCIOUSNESS, because God has SHOWN IT TO THEM…” (Romans 1:19). 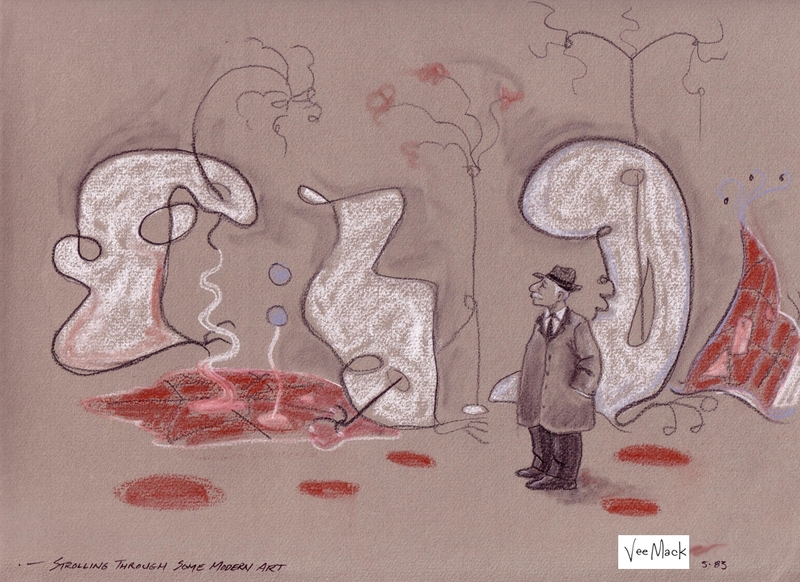 This particular drawing came to mind while I was looking at the Art Institute of Chicago’s website and I came across some artwork by Joan Miro, who is exhibited at AIC. Vee Mack’s drawings generally demonstrate better draughtsmanship than this drawing displays but I thought that the concept was amusing and the implied commentary worth considering. Are you a fan of Joan Miro, Piet Mondrian, Paul Klee, Jackson Pollock, Willem De Kooning and Vasily Kandinsky?What does this elderly gentleman think of his stroll through the paramecium of the artworld? Francis Schaeffer noted in “The God Who is There” that Paul Klee and similar artists, introduced the idea of artwork generated in a manner similar to how a Ouija Board generates words from outside the artist’s conscious intent. Schaeffer observed that Klee “hopes that somehow art will find a meaning, not because there is a spirit there to guide the hand, but because through it the universe will speak even though it is impersonal in its basic structure.” [page 90] Why would an impersonal universe have something to say? What does meaninglessness have to communicate? Schaeffer explains that “these men will not accept the only explanation which can fit the facts of their own experience, they have become metaphysical magicians. No one has presented an idea, let alone demonstrated it to be feasible, to explain how the impersonal beginning, plus time, plus chance, can give personality . . . As a result, either the thinker must say man is dead, because personality is a mirage; or else he must hang his reason on a hook outside the door and cross the threshold into the leap of faith which is the new level of despair.” [page 115]Vee Mack’s sketch demonstrates the paradox of an average man viewing images, which represent the nonsense of Dadaism and chaos. It is the overeducated who will look at something that is inherently meaningless and try to find deep meaning in it, while the average man sees it and observes with reasonable common sense that this or that is an absurd waste of time.By the way, while it may appear as though I am favoring one artist for these posts, I am not receiving the variety of artwork that I had hoped for from other artists and I happen to have ample access to much of Vee Mack’s unpublished portfolio. Therefore, until I receive other artwork, I will have to rely on what I have on hand. PAUL KLEE: THE SILENCE OF THE ANGEL is a visual journey into the work of a major painter of the 20th century by Michael Gaumnitz, an award-winning documentarian of artists and sculptors. Like Kandinsky and Delaunay, Klee revolutionized the traditional concepts of composition and color. From a his­tor­i­cal point of view the twen­ties were quite tumul­tuous, the polit­i­cal con­di­tions that would bring to the out­break of World War II just a decade later were start­ing to build up. The world was destroyed by the war, a period of re-construction and renewal started and Amer­ica was seen as an exam­ple of growth that then col­lapsed after the cri­sis of 1929. On the artis­tic front the new con­ti­nent was gear­ing towards a return to real­ist ten­den­cies, many artists had been let down by the new avant-garde move­ments. In Europe abstrac­tion­ism took hold, the idea was to declare a new method of aes­thetic con­cep­tion that wasn’t based on a loyal rep­e­ti­tion of objects to por­tray. This con­cept would be car­ried on espe­cially by Bauhaus dur­ing these years for what con­cerns fig­u­ra­tive art, and applied arts and archi­tec­ture as well. The Twen­ties are also the years of Sur­re­al­ism, a direct con­se­quence of Dadaism, born thanks to the impor­tance that Bre­ton gave to dreams and the sub­con­scious in mod­ern cul­ture. Let’s go through these steps that are full of events and charged with artis­tic pro­duc­tions through the 5 best artists from the ‘20s. In 1917 he founded the group “De Stijl” along with Theo van Does­burg and Bart van der Leck. Even if his style was fairly tra­di­tional, fig­u­ra­tive and nat­u­ral­is­tic at first, at a cer­tain point of his career the artist turned his style towards a sort of geo­met­ric min­i­mal­ism fol­low­ing sev­eral inspir­ing exter­nal influ­ences. His per­sonal philo­soph­i­cal and spir­i­tual stud­ies were impor­tant for his work, observ­ing Picasso and Braque he reached a per­sonal geo­met­ric style enriched by a more and more impor­tant min­i­mal­ist vein. His paint­ings, often imi­tated and triv­i­al­ized, are com­posed of areas that are almost always painted with homoge­nous blues, reds, yel­lows and framed with a black line that became thicker as the artist took aware­ness of his style. It’s a mis­take to call Mondrian’s works “non –rep­re­sen­ta­tive”, instead they are the result of a care­ful study and per­sonal research. 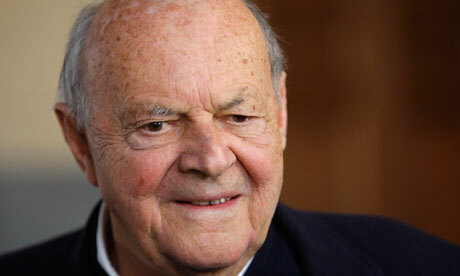 He was a Ger­man painter and the­o­reti­cian of abstract art. The art­works that set him apart from oth­ers are char­ac­ter­ized by geo­met­ric forms that are evenly filled with pri­mary col­ors and that aren’t nec­es­sar­ily cre­ated on tra­di­tional sup­ports, in fact the artist often uses glass sup­ports through which he can con­tin­u­ously change the artwork’s visual per­cep­tion. He was also a pas­sion­ate and cre­ative paint­ing teacher, for Bauhaus, which he joined in 1920. A care­ful the­o­reti­cian of abstract art, he was engaged in stud­ies on per­cep­tion through the cre­ation and obser­va­tion of ambigu­ous geome­tries and on their poten­tial evoca­tive qualities. An all-around artist, Klee loves music and poetry but espe­cially paint­ing, which he con­sid­ers the high­est form of art. A son of two musi­cians, for him music rep­re­sents an impor­tant and fun­da­men­tal means of artis­tic inspi­ra­tion. As much as he is con­sid­ered an abstract artist, abstrac­tion­ism is not his only approach to art, he thought that art shouldn’t rep­re­sent real­ity, but that it should be a con­ver­sa­tion around and on real­ity. 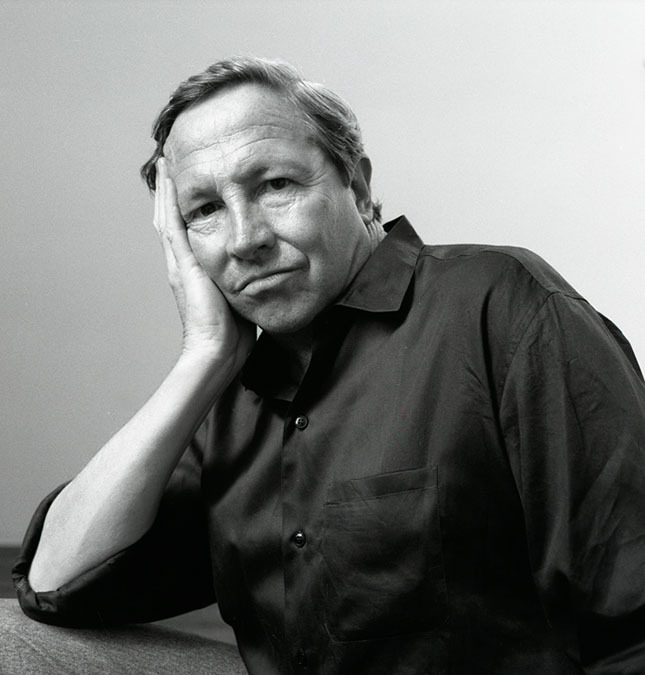 In fact his vision of the real world pro­duced art­works in which real­ity is altered, evanes­cent, dis­solved, a per­sonal rep­re­sen­ta­tion that cre­ates a wide range of sup­ports. His paint­ings are free, care­free, play­ful, almost as if they were the result of a child’s inno­cent hand. He was an enthu­si­as­tic paint­ing teacher, a pas­sion­ate the­o­reti­cian of abstrac­tion­ism and in 1911 he founded «Der Blaue Reiter» along with Alfred Kubin, August Macke, Wass­ily Kandin­skij and Franz Marc. Dalì is one of the main rep­re­sen­ta­tives of the sur­re­al­ist move­ment, a per­sona with a ver­sa­tile and eccen­tric char­ac­ter, with a lack of a sense of mea­sure, besides paint­ing, dur­ing his artis­tic career, he worked in sev­eral fields such as cin­ema, sculp­ture and writ­ing, the­atre and design. He was a skill­ful drawer, an extrav­a­gant man with a lively imag­i­na­tion. He declared that his art­works were inspired by Renais­sance tech­niques and they are full of sym­bol­ism, for him paint­ing is a way of show­ing his most sub­con­scious impulses and desires. His is a hal­lu­ci­na­tory art rich with evoca­tive images and arti­fi­cial scenes in which he often faces the theme of para­noia. Very often his behav­iors at the lim­its of decency had peo­ple pay­ing atten­tion to him rather than his art. (1918-1989) artist, art critic, portraitist and teacher. (1928-2011) Painter, draughtsman, printmaker, sculptor. (1912-1992) composer, philosopher, poet, music theorist, artist, printmaker. sarah, siena, and i recently returned from a ten-day trip to north carolina. we stayed mostly in hickory, where sarah’s friend and college roommate pattie, her husband dan, and their daughters kenzie and maya live. good times for all, including the girls. for three days, i bolted to nearby asheville. 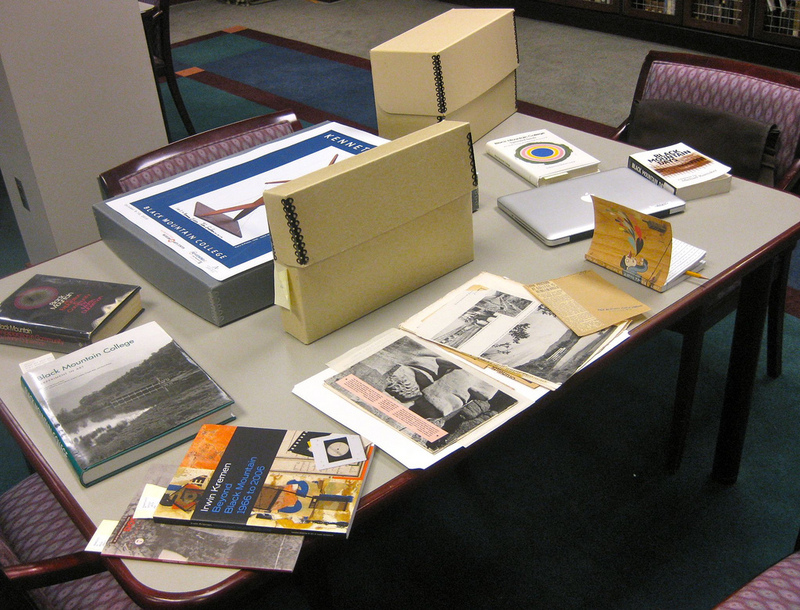 with help from a USF faculty development fund award, i was able to spend time with the black mountain college museum + arts center collection at ramsey library at the university of north carolina asheville. black mountain college, or BMC, was a small liberal arts college that existed between 1933 – 1957 in the blue ridge mountains in western north carolina. 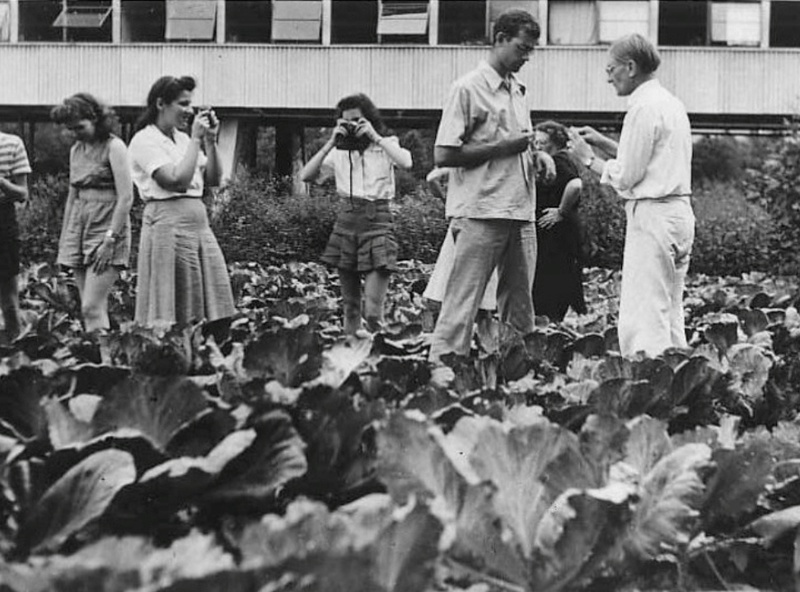 the focus of black mountain college was the education of the whole human being.for its time – and for our times – black mountain college was massively experimental. faculty owned the university. all students, faculty, and faculty families lived on campus, where they ate together in the dining hall and danced together on saturday nights. there were no grades. classes were not mandatory but once enrolled, students – as well as professor – were expected to be fully prepared and participatory. at the center of the curriculum was arts because arts encourage students to focus, create, engage, and cooperate. students were included in nearly all meetings and committees, even those responsible for faculty hiring and firing. the responsibilities of running the college were shared by all.i am especially interested in BMC’s work program. 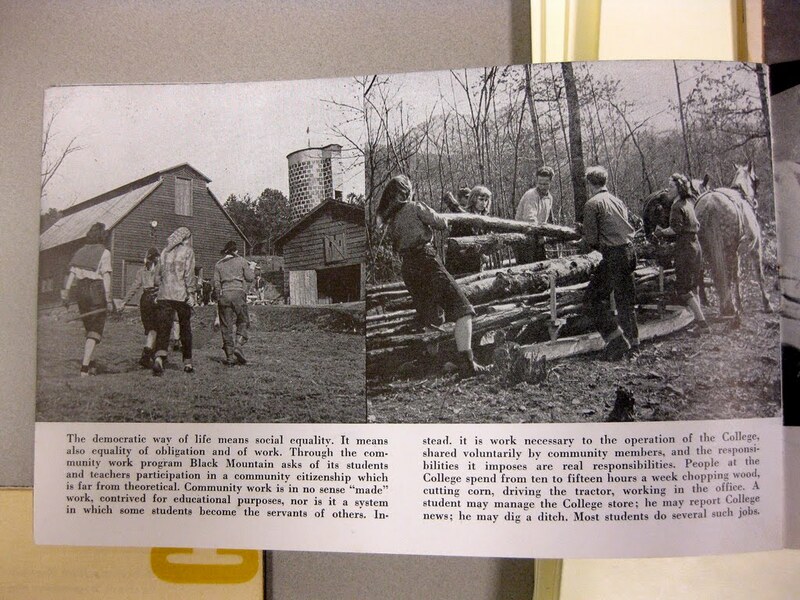 black mountain college combined formal studies and physical labor. 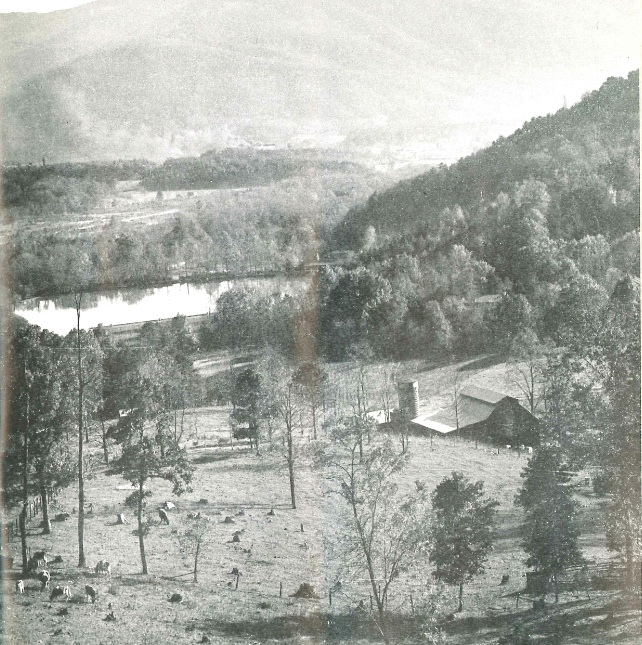 in between classes and coursework, students – and sometimes faculty – cleared the hillside for pasture, waited tables in the dining room, maintained campus roads, hauled coal, dug ditches, collected field stones for masonry work, served and cleared four o’clock tea, and, miraculously, designed and built a building. 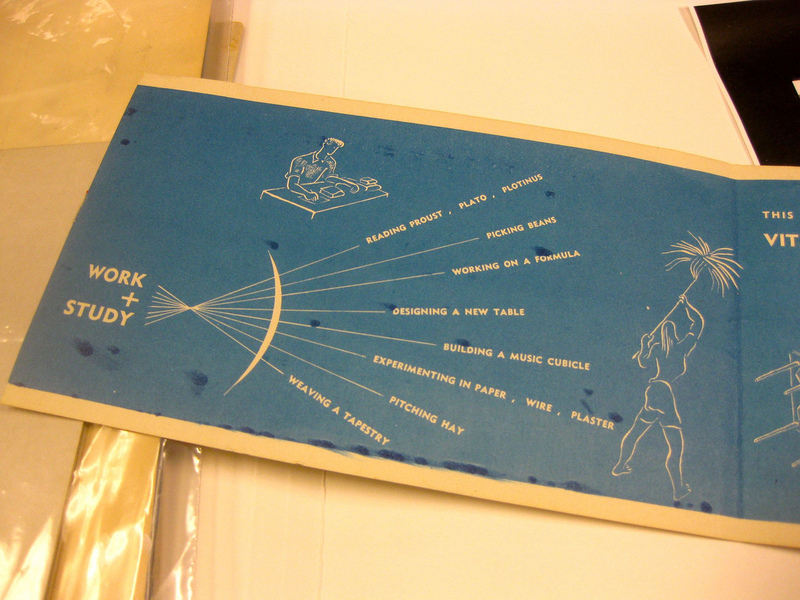 my main interest is the farm on black mountain college. in particular, i am interested in the history of the farm and its changing role within the college and its work program. i am interested in the farm work – who taught the skills? who organized the teams? who did the work? i am also interested in the farm’s output – what was grown? which animals were raised? who got the food? and finally, i am interested in how the farm was used as a creative and collaborate space for student and faculty learning. black mountain college is primarily known and remembered for the remarkable faculty, visiting faculty, and students it attracted. a partial list includes josef and anni albers, ruth asawa, john cage, robert creeley, merce cunningham, willem and elaine de kooning, buckminster fuller, alfred kazin, jacob lawrence, charles olson, arthur penn, robert rauschenberg, and m.c. richards. new and important things happened here – bucky fuller would attempt his first geodesic dome, john cage would stage the world’s first “happening,” and merce cunningham would form his dance company. because of this, black mountain college has received plenty of attention. there’s martin duberman’s black mountain college: an exploration in community and mary emma harris’ the arts at black mountain college. there’s cathryn davis and neeley house’s documentary fully awake: black mountain college and the black mountain college project. and then there’s the über archive, the black mountain college collection at the state archives in raleigh, north carolina. after three days in asheville, i said thanks to sally klipp, special collections librarian at ramsey library, and drove back to hickory. 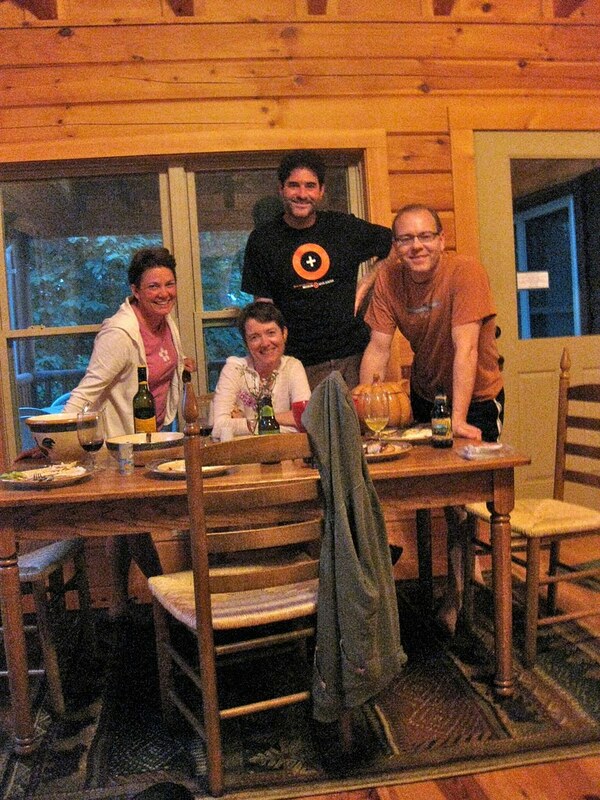 then, pattie, dan, kenzie, maya, sarah, siena, and i drove to blowing rock for a few days in a log cabin in the mountains. 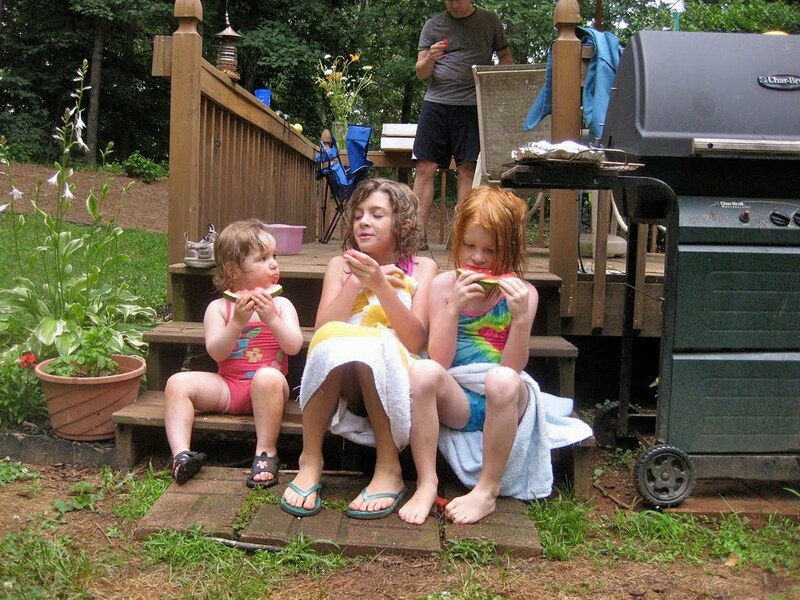 fun, watermelon, and good food were had by all. 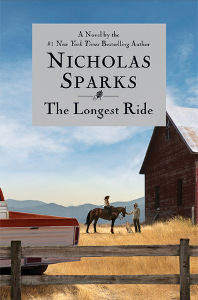 The Longest Ride is Nicholas Sparks‘ 17th romance novel, released on September 17, 2013. After being trapped in an isolated car crash, the life of elderly widower Ira Levinson becomes entwined with that of young college student, Sophia Danko and the cowboy whom she loves, named Luke. The novel is told through the perspectives of these three characters as they go through their lives, both separately and together. Ira Levinson, ninety years old and already in poor health, is just holding on; remaining alert only because his wife Ruth, who has died, appears as an image to help him remember their life together: how they met, the paintings they collected and the dark days of WW2. Just a few miles away, Sophia, a Wake Forest college student’s life is about to change forever as she meets an unexpected love, Luke. Luke is a cowboy and risk-taking bull-rider, unlike anyone she has ever known. Together they experience the joys of love as well as the difficulties that come with Luke’s dangerous career. Two couples who have little in common, yet whose lives will converge with unexpected poignancy. The inspiration for the book was Black Mountain College, a liberal arts school whose faculty included some of the most prominent names in the modern art movement. Styles mentioned in the book includeAbstract Expressionism, Futurism, Bauhaus, Cubism, and Lyrical Abstractionism. The backstory of characters Ira and Ruth Levinson is that they visited Black Mountain College during their honeymoon and met with students and artists at the school artists’ exhibition. Ira bought six paintings for Ruth which would be the beginning of more than a thousand paintings they would collect focusing on 20th-century American modern art. Artists in the book include Ken Noland, Ray Johnson, Robert Rauschenberg, Elaine de Kooning, Willem de Kooning, Susan Weil, Pat Passlof, Jackson Pollock, Jasper Johns, Andy Warhol, and Pablo Picasso. A film adaptation, from 20th Century Fox, released on April 10, 2015. The film is directed by George Tillman Jr., with the screenplay adapted by Craig Bolotin. Britt Robertson plays Sophia Danko, with Oona Chaplin as Ruth, Scott Eastwood as Luke Collins,Jack Huston as Young Ira, Barry Ratcliffe as the Auctioneer, and, Alan Alda as Older Ira. Filming began on June 16, 2014 in Wilmington, Jacksonville, and Winston-Salem.